Abel Motorsports will join the Pro Mazda Championship next season. INDIANAPOLIS — Abel Motorsports, which won the F3 Americas title this season, will enter the Road to Indy program in 2019, fielding Pro Mazda machines for driver Jacob Abel. 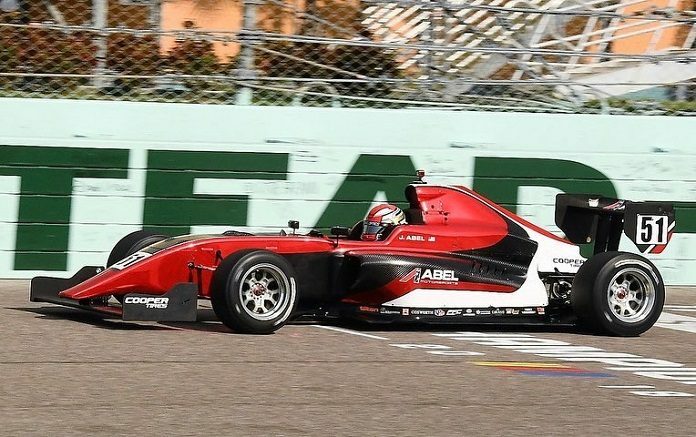 Abel Motorsports acquired the Pro Mazda equipment of Cape Motorsports and has already completed a pair of tests with Abel and USF2000 champion Kyle Kirkwood at the wheel. “This represents a major step forward in our development as a top-line racing organization,” said team principal Bill Abel. “We intend to make more progress in 2019, our third season as a professional open wheel team. We’re coming off a sensational second year, with Kyle Kirkwood dominating F3Americas and us winning the team championship there. Now, we’re ready to tackle the Road to Indy ladder in Pro Mazda. Jacob Abel, 17, is looking forward to his Pro Mazda debut. Abel Motorsports will field a pair of Pro Mazda entries, but has yet to decide on a second driver. 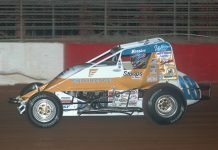 Bill Abel said his team, which started as a vintage racing operation and has grown into a championship-winning open-wheel operation, will continue to grow.